Continuing Santa Fe’s Colorful Legacy lecture series, local author and architectural historian Christine Mather will present on Pueblo Revival architecture on Sunday, July 1, 2018 from 1:00 pm – 2:30 pm at the St. Francis Auditorium, 107 West Palace Avenue at the New Mexico Museum of Art in Santa Fe, New Mexico. 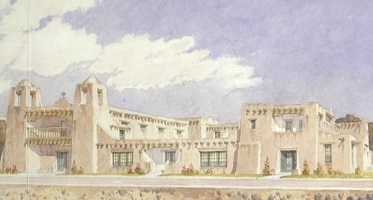 The completed construction of what is now called the New Mexico Museum of Art in 1917 was among the most significant events in the last hundred years of Santa Fe’s history. The building features a Pueblo Revival style; rooted in concepts of Hispanic and Pueblo architecture, specifically as seen in the Mission churches, this architectural approach developed at the turn of the 20th century and reached its greatest popularity in the 1920s and 1930s. 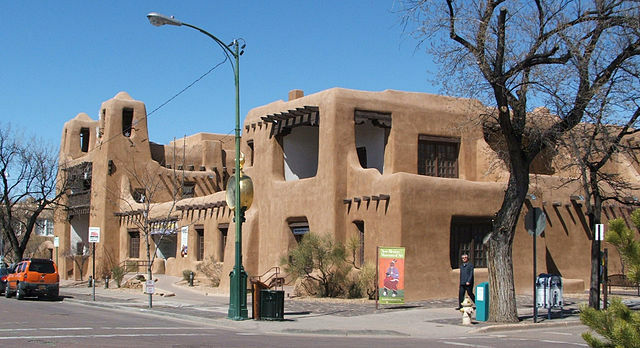 It is still commonly used for new buildings in New Mexico. The Museum of Art was constructed in the era of Edgar Lee Hewett’s leadership, the co-founder of SAR. The SAR administration building, located on the estate known as “El Delirio”, former home of Elizabeth and Martha White, is also of the Pueblo Revival style. In conjunction with the the Museum of Art, SAR has invited Mather to present a talk exploring this history through the influential figures of the era, the struggles to identify New Mexico’s unique architectural heritage, and the impact of the Museum of Art building upon the community. Following the lecture, SAR will offer a tour of the Indian Arts Research Center (IARC) and of the historic estate. Each tour can accommodate 30 people. 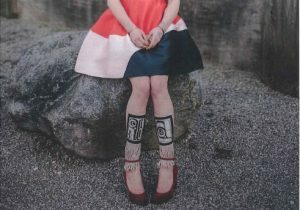 The IARC’s collections include nearly 12,000 works of Southwestern Native American art, including pottery, textiles, basketry, jewelry, and carvings. The estate includes architecture by William Penhallow Henderson, artwork by Gustave Baumann, blooming gardens and more. Tickets for the lecture are $10 general admission. To register for the talk, visit https://sarweb.org/public-talks/ or call 505-954-7245. 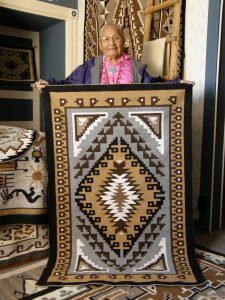 September 23, Brian Vallo, director of the Indian Arts Research Center at SAR, together with artists Ramona Sakiestewa, Louie Garcia, and Isabel Gonzales discuss the history and evolution of textile arts in the surrounding Pueblo communities. 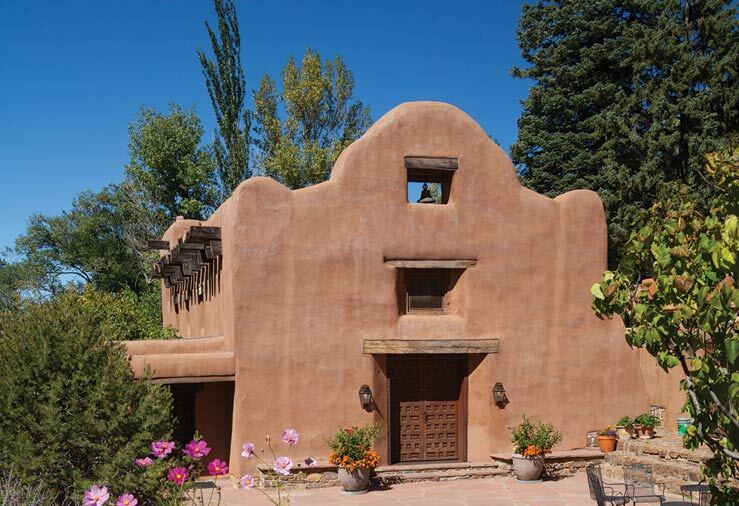 October 7, a home tour of four pioneering artists who helped shape Southwestern art during the early 1900s: Jozef Bakos, Gustave Baumann, Randall Davey, and Olive Rush, in partnership with the Historic Santa Fe Foundation. All homes are located on or near Canyon Road. 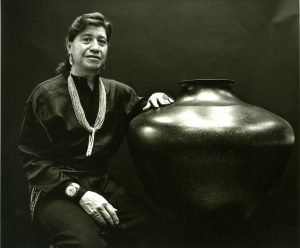 These programs are presented in partnership with the New Mexico Museum of Art in honor of its centennial celebration, SAR’s 110th anniversary, and the 40th anniversary of the Indian Arts Research Center (IARC) at SAR. Funding for this program is provided in part by a grant from the New Mexico Humanities Council.